“Beto got polite and stopped. No problem, he said, slamming the heavy bag into her face. She hit the cold tile with a squawk, her palms slapping the ground. There you go, Beto said” (Diaz). Diaz’s stylistic choice in the way that he structures his sentences really stuck out to me as I read the short story “Drown.” It was very easy to read and each sentence seemed to be in a flowing rhythm. This type of writing reminded me in some way of William Carlos Williams. In the poem “A Red Wheelbarrow”, his writing is rhythmic and doesn’t use any superfluous word. Similarly, Diaz’s writing is direct, to the point, and stripped of any unnecessary wordiness. For instance, this style was particularly evident during the scene of brief violence that I have quoted above. In just four sentences Diaz captures the unexpected suddenness of violence. The casual way the author brings the violence into this scene conveys a nonchalant sense of realism. The narrator seems to have no trouble relating this story to the reader and its as if this type of violence is nothing at all out of the ordinary. Another interesting stylistic choice is Diaz’s use of the Spanish language mixed in with English. The use of Spanish is able to draw the reader into the narrator’s world and highlights a distinction between the Dominican and American cultures. Additionally, the choice to not italicize the words in Spanish was different from most texts that I have seen involving foreign words. By doing so, reading his prose flows very easily between the Spanish and English words without any highlighting or any notable difference between the transitions. This is able to integrate the language into the English text and serves to legitimize both the language and the experiences of those who speak the language. For my deformation, I took out every simile and metaphor that Rita Dove uses in her original poem Adolescence-I. As I was reading the poem, her figurative language really stuck out to me. Each comparison added to the sense of innocence in the young girls who were in the poem. As an experiment, I wanted to see how the poem would read without each of these specific sections. What I found was that the poem reads just fine, but the characterization of the girls is completely thrown off. The first word that I took out of the poem was the word “tickling” used to personify the grass. In the original text this immediately gives the poem a playful tone. The reader can feel exactly how the grass feels to the girls in the poem. However, if one were to read it just as “We knelt in the grass” the mood is entirely different. The reader would never get the sense of the childish innocence that the original has. Second, I removed the comparison of the young girl’s face with a pale pecan. Without this description the face would simply be “hung before us” and does not add anything to the characterization of the girl. Reading about the face just hanging before them puts the poem in a rather somber mood. With the simile about the paleness of her face however, a sense of purity and virtue is bestowed upon the girl. Lastly, I removed the simile comparing the boy’s lips to the soft skin of a baby. In this poem, Rita Dove depicts a scene of a group young girls inquiring about a boy’s lips. The reader can almost feel how intently the rest of the girls are listening and how fascinated they are with this description. The conversation goes only as far as describing his lips- a tame inquiry revealing how innocent and pure these young girls are. Without this tame description of his lips, the reader’s mind could wonder and there would be no telling where the line “A boy’s lips are soft” could take them. However, it simply ends with this pure simile without having to go past the physical nature of his lips. 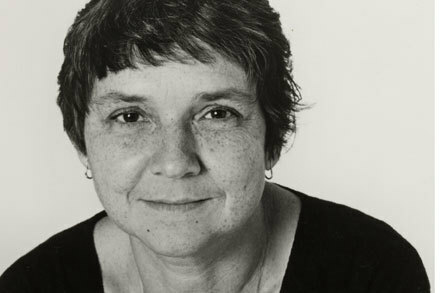 Adrienne Rich was one of the most influential feminist writers during the contemporary women’s movement. More than just a poet, Rich was heavily involved in feminist, civil-rights, and anti-war activism. Born in Baltimore, Maryland on May 16, 1929, Rich was heavily influenced by her father, the head Pathologist at Johns Hopkins Medical School. She developed a love for literature sitting in his library reading great poets such as Keats and Blake. Many of her early poems are influenced by how hard she worked to fulfill her father’s ambitions and have a clear resemblance to these authors. Rich attended Radcliffe College where she wrote her first book “A Change of World” which won the prestigious Yale Series of Younger Poets Award. Shortly after graduation, in 1953, she married a Harvard economist, Alfred Conrad with whom she had three sons. This period of Rich’s life was very difficult. She struggled with the concept of the prescribed role of womanhood. This radical change in Rich’s life can clearly be seen in her writing style. She began experimenting with fragmentation and jagged utterances and explored new issues such as the day-to-day truths of women’s lives and issues of identity and sexuality. “Snapshots of a Daughter in Law”, written shortly after the birth of her third child, was a turning point in Rich’s writing in which she unleashed her new voice. Horrifying critics with her controversial topics, Adrienne Rich sealed her national reputation as a leader for the feminist movement. When she moved her family to New York City, she became active in the political movements and her National Book Award winning “Diving Into the Wreck” is heavily influenced by her anger at the Vietnam War. The dramatic monologue in “The Love Song of J. Alfred Prufrock” by T.S. Eliot examines the tortured psyche of its speaker. Throughout the poem Prufrock reveals more and more about the true qualities of his interior. Similar to F. Scott Fitzgerald’s character Dexter in Winter Dreams, J. Alfred Prufrock aptly fits the description of the prototypical “modern man”. He is solitary, insecure, and always standing in his own way of happiness. However, as we learn more about the speaker of the poem, one glaring question remains. Who exactly is Prufrock addressing in his Love Song? The answer to this question invariably leads to the next pressing issue of what is Prufrock’s “overwhelming question” he wants so desperately to ask? Throughout the poem it’s interesting to note how the answers to these questions lead you to understand more about the speaker without his intention of doing so. The poem begins with “Let us go then, you and I” (Eliot 822) as Prufrock invites “us” to go and take a walk. But to whom is the “you” addressed? Is it the reader? Someone else? Is he talking to himself? Due to the title of the poem being a “Love Song” it is reasonable to assume Prufrock is talking to a woman he loves. Many instances throughout the poems seem to support this idea. One of the first times Eliot gives the reader a hint about the person being addressed comes from the ninth stanza. “And I have known the arms already, known them all-/Arms that are braceleted and white and bare/(But in the lamplight, downed with light brown hair! )” (Eliot 823). The first two lines begin in a very repetitious, monotonous tone. It seems as though Prufrock is excessively bored at having seen so many arms- each one the same as the last. However, the next line in parentheses, which seems to come directly from his thoughts, ends with an exclamation. It’s as though this particular arm has engrossed Prufrock and struck him as unique. Immediately, the first rhyme of the stanza between “bare” and “hair” catches the reader’s attention as significant. It’s clear that this new image must be of the woman to whom he is talking. It makes sense that after inviting her for a walk through “half-deserted streets” that he would see her arm under the lamplight. Even more interesting is the fact that her arm has light brown hair, in stark contrast with the white to which he was previously accustomed. This woman must be different from those that he sees coming and going “talking of Michelangelo.” These few lines also touch on another important aspect of Prufrock’s song- his use of synecdoche. Nowhere in the poem are any whole bodies described. We are given only a body part and meant to represent it as the whole person. People throughout the poem are reduced to “eyes” “faces” and “arms” perhaps because Prufrock sees others as he believes he is seen by the outside world-based only on his outside features. As the neurotic, emotionally stifled, overeducated modern man, in his mind Prufrock only hears the comments of others on his inadequacies. Understanding Prufrock is addressing a woman, what are we to make of the “overwhelming question” that Prufrock continues to mention throughout the poem yet never seems to ask? Through the context of the poem it’s clear that this question involves Prufrock trying to tell the woman of his romantic interest in her. The first time Prufrock tries to ask his question comes in line 37 when he declares “And indeed there will be time,/To wonder, ‘Do I dare?’ and, ‘Do I dare?’/Time to turn back and descend the stair,” (Eliot 823). We are left wondering what it is he dares to do but its clear he’s referring to his question he desperately wants to ask. The repetition of the phrase “There will be time” and “Do I dare” leaves the reader with the sense that these stanzas aren’t going anywhere. This repetition mirrors Prufrock’s actions because he refuses to commit to anything and is simply going in circles. His inability to ask the question and his belief there will be plenty of time for everything highlights a theme of passivity. Later, Prufrock wonders if he will “have the strength to force the moment to its crisis” (Eliot 824). Again, he must be referring to his desire to consummate his relationship with this woman he is addressing. However, it seems Prufrock knows too much of life to dare ask his question and “presumes” that emotional interaction is impossible. Later in this stanza he compares his feelings to his fear of death as though he had “seen the eternal Footman hold my coat” (Eliot 824). This description shows us how afraid of approaching this woman Prufrock seems to be. Lastly, he wonders if “would it have been worth it after all…If one, settling a pillow by her head, /Should say: ‘That is not what I meant at all. /That is not it at all’” (Eliot 824). These lines are unmistakably referring to the ‘what if” scenario had Prufrock ever approached his lover. This shows that his question must have involved his desire to let the woman know about his love because he is imagining her saying that she was misunderstood and never truly had feelings for him. The potential for his love to be unrequited proves to Prufrock that he was right to never take the risk of finally asking his question. This undoubtedly speaks to his character. What does it say about someone who believes it is best to never know something if it means never having to display audacity or be offended? This sense of cowardice fits right into Eliot’s picture of the modern man who has become too habituated to a static and passive life. Although the entire poem seems to be dedicated to slowly uncovering what a cowardly, indecisive, and lonely man Prufrock is, it would be foolish to assume Eliot’s only purpose was to create a warning for all procrastinators. It seems as though by using Prufrock, he is satirizing the wealthy modern man living a meaningless life. It’s actually quite a hilarious image seeing a balding man wearing a “necktie rich and modest” wondering if he should dare eat a peach after taking toast and tea. However, it would be equally foolish to presume Prufrock’s love song has nothing to do with a woman lover. The very fact that Eliot’s original title for this poem was “Prufrock Among the Women” shows how central to the plot Prufrock’s relationship to women must be. Jean Toomer’s poem Georgia Dusk portrays an idealized black southern town. Coming in the final stanza, the word “sacred” best describes the tone of the poem. Indeed, the speaker seems to hold a romanticized view of the traditional folk culture of the town by extending multiple auditory phrases to the reader. The poem has a very upbeat tone and prevailing themes of music and sound appear throughout different stanzas. In the second stanza we are introduced to “folk-songs” and “soul songs”, and then we can hear the sound of a sawmill “whistle” signaling the end of a workday. When we get to the sixth stanza, Toomer implies a cheerful lyrical voice saying, “the pine trees are guitars” and using words such as “strumming” to describe the falling of pine needles. Together, these lyrical elements of the poem are described in a sacred tone and it’s evident that the speaker is enthralled with the town’s cheerful night festivities. In the first stanza, the reader encounters rich imagery of a sunset. The sky is described, “lazily disdaining to pursue” which gives the impression that time is passing rather slowly and there is a prolonged shift between daylight and nighttime. It almost seems as if time is reluctant to pass. This forces the reader to consider how once time goes by, it is a resource that can never be regained. Immediately this places a new appreciation for time, something we may take for granted, in the mind of the reader. This theme of time being sacred is further emphasized later in the poem when sawmill imagery is first raised in the third stanza perhaps suggesting industrialization and a changing way of life. This is carried into the fourth stanza where we are presented with images of smoke from the sawdust creating “blue ghosts of trees.” In fact, “only chips and stumps are left to show/The solid proof of former domicile.” By invoking the passage of time the speaker invites us to consider time as a resource that should be revered and never taken for granted. “Up to now literature has exalted a pensive immobility, ecstasy, and sleep. We intend to exalt aggressive action, a feverish insomnia, the racer’s stride, the mortal leap, the punch, and the slap” (Marinetti 796). In this article from the “Manifesto of Futurism” Marinetti shows off his use of forceful, insistent language seen throughout his work. Words used here such as “aggressive”, “feverish”, “punch”, “slap” give the text a rather hostile tone. This hostility seems to be a convention found in all three of the manifestos. What is this hostility pointed towards? Marinetti also gives us insight into this here, clearly blaming traditional styles of literature. This article gives us a clear picture of the divide Marinetti creates between the “old” and the “new.” The high energy, aggressive words used when describing the “new” serve as tools for coercing the reader to join the revolution. In addition, the use of “We” helps to make the reader feel like a part of Marinetti’s ideal vision for the future. The static nature of the diction used for the orthodox and conventional styles of the past are juxtaposed with the vitality of the future. “Racers stride,” and “the mortal leap” serve to emphasize the swiftness with which Marinetti intends his message to spread. The addiction he seems to have for speed parallels his ambition for a new, aggressive, and passionate future. This passage is also able to exhibit the violence that Marinetti believes is necessary for a complete transformation. He goes on later to write that war is “the world’s only hygiene” and beauty only exists in struggle. This violence underlines the passion for the upheaval of customary traditions Marinetti yearns to see exhibited throughout the public.